On Murphy’s Magic Mess we like to celebrate the holidays with music and stories. That’s just what we did this weekend for Independence Day. Murf, however, was at home with one of those miserable summer colds. *K8 and Phil managed to muddle through without her. Phil putting together the first hour, *K8 the second. As you can tell from the playlist, the show became something resembling Hindu Patriotism. Not intended, but it did come out that way. This week is one of those special tracking weeks that we have to do at KZUM. That means that we have to track and report to SoundExchange everything we play, when we started the track and when we ended. This gives us the opportunity to play longer tracks. Sure, we could play 10-45 minute tracks every week if we wanted to, but we want to give the listener as much variety as we can every week. We’ll be doing this again in August. 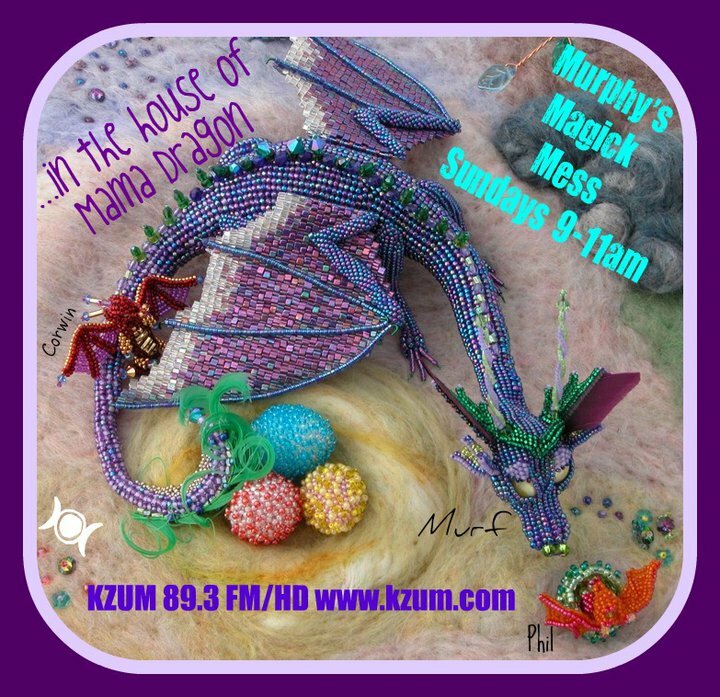 Murphy’s Magic Mess airs live every Sunday at 9am Central on KZUM-Lincoln/KZUM-HD (89.3FM in the Lincoln, NE area). You can find the Mess on Facebook. A note to anyone who may have attempted to call in during the show. A firmware or software issue has been cropping up on the weekends that deactivates the phones. The program manager and our station engineer are working with our phone service to correct the problem. Murf, *K8 and Phil had a blast bringing you a celebration of the first harvest on Murphy’s Magic Mess. They also had some healin vibes. *K8’s sister recently had surgery and she wanted to send some healing her way. As well as send some healing to all those who may be in need of it. Murphy’s Magic Mess airs live every Sunday at 9am CT on KZUM in Lincoln, NE. 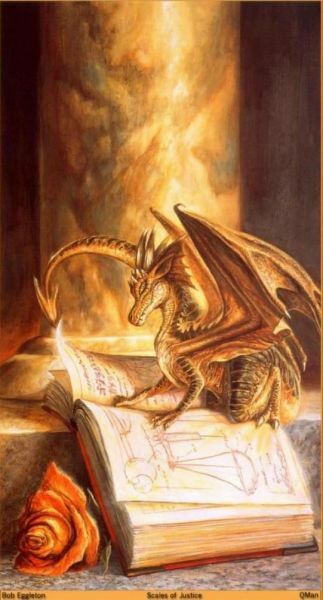 Murf’s been hosting the show for over 19 years, bringing you Pagan and new age music as well as other Pagan content. You can find the Mess on Facebook. RevKess would like to say happy 4th of July to all the listeners in the United States and all of those who appreciate the freedoms and independence that they have or want to have. Every year on the 4th of July, millions of people celebrate the freedom and independence that they have in the United States. Even with the inequities that barrage US citizens on a regular basis, people in the US have much more freedom than most other places around the globe. It is due to the long battle that the US people have waged for centuries that they can celebrate on this day, and any other day of the year. Religious freedom, sexual equality (a work in progress), workers’ rights, voters’ rights, property and inheritance rights, all those things that many in the US take for granted. They are all reasons to celebrate. Though Musica Pagani is a music program, as the name suggests, RevKess wanted to share that Crystal Blanton is a new staff writer for the Wild Hunt. Her first article for TWH was published for the 4th of July and it pertains to the celebration in the United States as well as the major disappointment that many have with the Supreme Court of the United States after their decision to over turn Section 4 of the Voters Rights Act on June 25, 2013 – one day before their major decision regarding Section 3 of the Defense of Marriage Act and California’s Proposition 8. In the article she quotes such figures of the Pagan community as T Thorn Coyle, Peter Dybing, Yeshe Rabbit and Erick DuPreee. This 4th of July, Musica Pagani celebrates freedom, diversity and independence with music and song. A special thank you to the editors and collectors of sound effects over at www.freefx.co.uk for some of the sounds you heard on this special edition of Musica Pagani. On Sunday the 2nd of June, Murf decided that the show would focus on animals. So, *K8 and Phil joined up with her for a fun show of animal music and stories. Next Sunday the gang from the Mess will be celebrating *K8’s birthday. She gets to pick most of the music, as has become tradition on the show over the last four years. Looking forward to finding out what she picks out for you all to hear. Today was the second installment of the Mess’s Beltaine celebration for 2013, it was also the Lincoln Marathon (Lincoln, NE). Below you will find the play list from today’s show. Thank you again to *K8 for typing up the list during the show. I have made some minor corrections to her list. Any errors that remain are my own. I‘ve had a very long weekend. After I have gotten some rest I will gladly insert links and other information for the tracks that were played. Until then, have a blessed week!